DINNER and DESSERTS WILL BE SERVED! Each Local Unit PTA/PTSA is given 5 free invitations to attend. Hard tickets will not be given. Each Local Unit PTA/PTSA will email the names of all attendees. If a Local Unit has more than 5 attending the banquet, the cost is $12 per person. Council encourages you to invite your school principal. at the High Museum of Art. Pre-K Simonton ES: Harper Jackson "Mommy"
9- Mill Creek HS: Taylor Judice "A Hero's Sounds of Mind and Soul"
10- School Unavailable:Grace Guo "On the Path to Saving the World"
3- W.J. Cooper ES: Gabriella Jones "In the Shadow of Heroes"
6- Dacula MS: Taylor Ziesmer "Heroes of 9/11"
9- Mill Creek HS: Eli Waters "An Everyday Hero"
12- Archer HS: Sarah Bittner "Heroic Acts with a Mother's Love"
3- Fort Daniel ES: Mya Lepure-Dica "My Light"
4- Grayson ES: Riya Kothari "My Heroes Without a Cape"
K- Starling ES: Jayden Samuels "They Save the Day"
4- Starling ES: Lelani Samuels "Not Only Humans Save the Day"
7- Dacula MS: Jack Gentry "Heroes Dont Have to Be"
12- Central HS: Kamya Booker "End of Time"
11- Berkmar HS: Taia Galloway "Inspired By Their Confidence"
11- Berkmar HS: Dasia Harris "Vague Heroes"
12- Berkmar HS: Zahria Austin "Saving Humankind"
3- Puckett's Mill ES: Abigail Mundt "Friends Are Heroes"
8- Dacula MS: Adriana Rafanelli "Classroom Heroes"
9- Mill Creek HS: Alexandra Fox "Hero Around Me...My Dad"
10- Mill Creek HS: Meena Chaudhari "All My Heroes"
5- Alcova ES: Anilla Laura "Silly Dance"
4- Alcova ES: Josua Pengelly "Bird Dance"
Are you interested in serving PTA at the District level? All candidates having served at Council level are encouraged to apply. DON'T DELAY, SUBMIT YOUR PTA RESUME TODAY! 18 years old, valid Social Security card, US Citizen. Area 3 Council is dedicated to helping Local Units develop and implement the National PTA standards for a successful year. GEORGIA PTA hosted Council & District Leadership Training (CDLT) to build greater accountability and engagement with our schools. Your Area 3 Council & District leaders were in attendance. 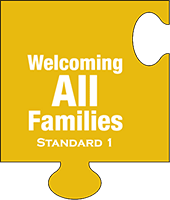 Welcoming All Students - Families are active participants in the life of the school, and should feel welcomed, valued, and connected to each other, to school staff, and to what students are learning and doing in class within an inclusive environment. 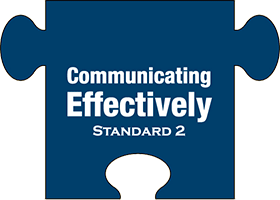 Communicating Effectively - Families and school staff engage in regular, two-way, meaningful communication about student learning. 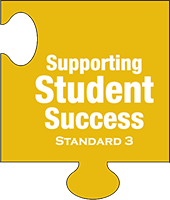 Supporting Student Success - Families and school staff continuously collaborate to support students’ learning and healthy development both at home and at school, and have regular opportunities to strengthen their knowledge and skills to do so effectively. 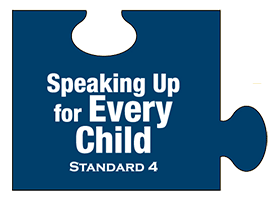 Speaking Up for Every Child - Families are empowered to be advocates for their own and other children, to ensure that students are treated fairly and have access to learning opportunities that will support their success. 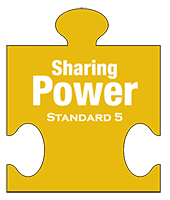 Sharing Power - Families and school staff are equal partners in decisions that affect children and families and together inform, influence, and create policies, practices, and programs. 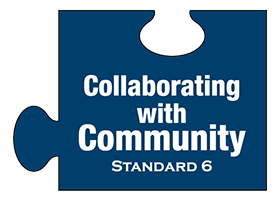 Collaborating with Community - Families and school staff collaborate with community members to connect students, families, and staff to expanded learning opportunities, community services, and civic participation. Council is expecting all Reflections Chairpersons or a representative to attend. Important information regarding new regulations and procedures will be discussed. Convention Leadership Training (CLT) brings PTA leaders and members together to conduct official business such as consideration of amendments to Bylaws and Resolutions. You will receive training at workshops, make friends and network, all while connecting to resources, exhibitors and companies who can help you with everything from fund raising to creating fun for your school. Become a PTA Advocate, get Parents Engaged and bring those great ideas back to your school to have a successful year. Chief Turnaround Officer and emphasized "parent engagement"
tailored turnaround plans for schools selected for intervention. the country and for his collaborative demeanor. Who Should Attend CLT 2018? Convention Leadership Training is an investment in the future leadership and success of your PTA. We recognize that time and money are scarce, but we must invest in our leaders to develop our potential in order that PTA can ensure a better future for all children. Registration and lodging are legitimate PTA expenses and appropriately budgeted PTA funds may be used. Where to stay? Register Now! Dinner will be served to those that RSVP before or on the deadline: April 16th. Nominations are open for Area 3 Council PTA Board! Council works to unify and strengthen local units, and provide leadership development and training. There are openings for the following positions: All are 2 year term offices. If you are interested in serving, please submit a letter of intent and a short bio before or on April 24th. School. Due to prior term limits of 1 year, the incumbents in all offices will also be required to submit nominations.